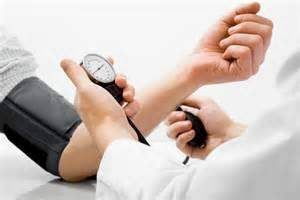 For years we have been told that there is a direct correlation between high blood pressure, weight issues and heart problems. In a new research study conducted in the United Kingdom, the direct damage is being researched and uncovered. When someone is carrying extra weight on their body, it can explicitly change the weight and size of the heart as well. This complicates the way that the heart performs and can also be affected by high blood pressure rates as well. Researchers from University of Oxford used a magnetic machine that can read cardiac responses in order to study the function and structure of over 4,500 hearts. There were certain risk factors that they learned could not be foreseen or modified. They were able to include risk factors brought on by lifestyle choices such as smoking, alcohol intake, exercise, diabetes, blood pressure and cholesterol. It was seen that these specific risk factors have different effects on the heart. It was seen that an increased heart weight was generally linked to overweight or obese individuals. This means that those who were carrying some extra pounds actually had bigger hearts. Other studies have found the intrinsic link between heart disease and high BMI. Things like increased blood pressure, high cholesterol and diabetes all factor into the risk that one has for dealing with this disease. There is a specific impact that being overweight carries on the body, namely the heart. If we really stop and think about why that may be, it makes perfect sense. The body is designed to do certain things and organs are designed to function a specific way. When outliers may impede that, their function may be compromised or level off because of certain factors, one of those being weight. Think about it, if you put too much weight on a chair, it may collapse. Especially if it's not built to sustain such weight. The same thing can be said for your heart, especially with other factors such as diabetes, cholesterol or blood pressure contributing to the issue. So if a heart has to work harder, it can then mirror the overall health makeup of other parts of the body. This can then make the heart grow in size based off of the sheer amount of work it is made to do in the body of someone who is overweight. Professor Steffen Petersen explains: With this research, we've helped to show how an unhealthy lifestyle increases your risk of heart disease. BMI and blood pressure in particular lead to heavier and bigger hearts, which increases the risk of heart problems, including heart attacks. We all know that our lifestyle has a big impact on our heart health particularly if we're overweight or obese. Weight and heart health are extricably and intrinsically connected. This is why so much is being made of the obesity epidemic and the issues surrounding extra weight in this country. It is comforting that we know we can change the course of some of these factors before it is too late and before they lead to something like heart disease. Shifting lifestyle choices is so imperative to the overall landscape of your health and specifically your heart health.